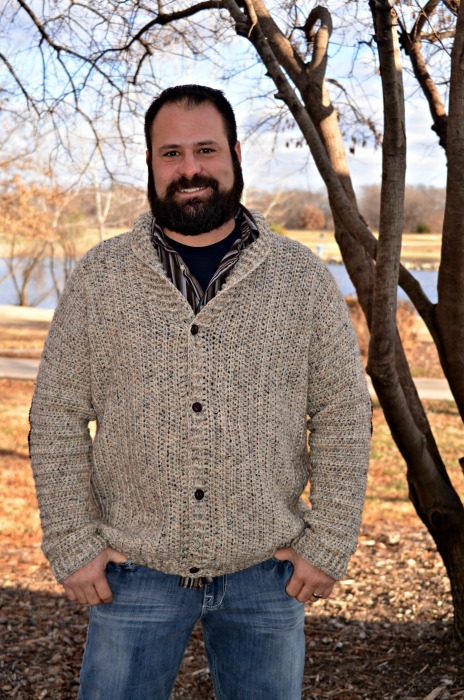 Ready for yet another size of the Cozy Classroom Cardigan crochet pattern series?! Of course we are!!! 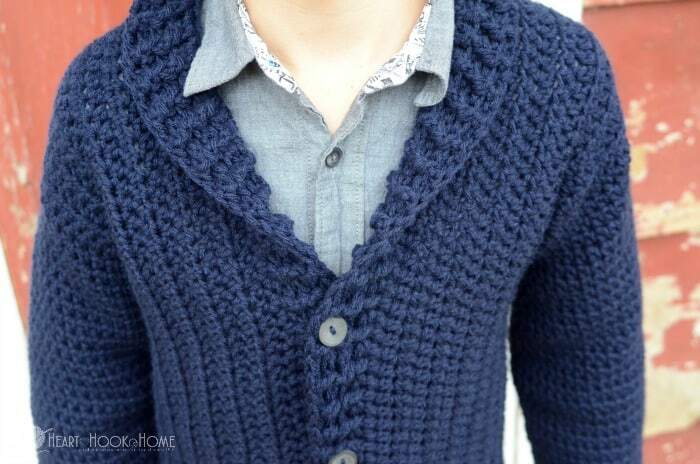 This is the 8/10 cardigan size. Perfect for wearing to the library, during after school extracurricular activities, or just around the house on a chilly day like today. 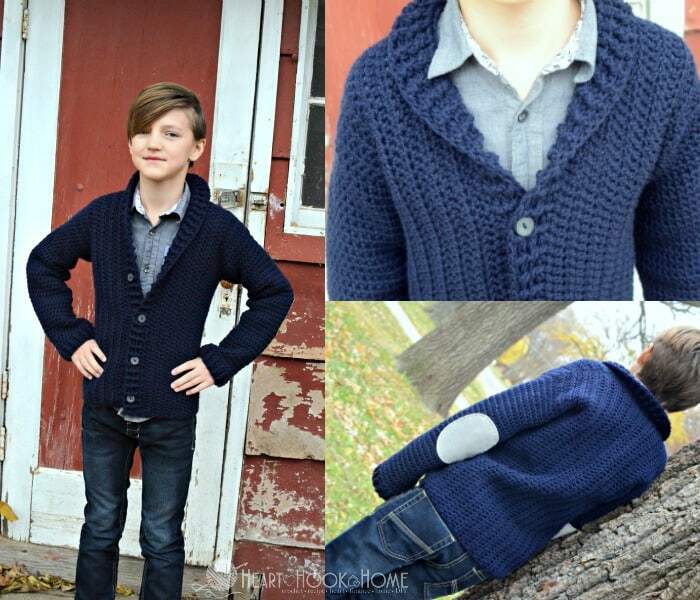 See a bunch of photos and grab the ADULT size here. Fasten on with a long tail for sewing later. Fold front sides in and sew shoulders together using the mattress stitch. 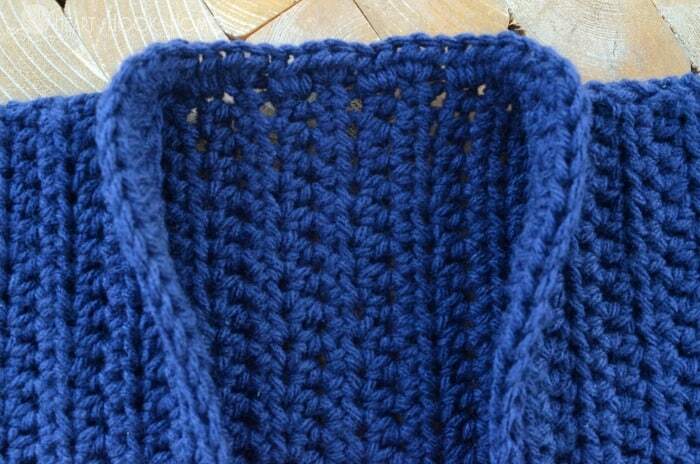 Attach yarn at bottom right as pictured. Attach yarn at bottom of armhole with sl st. Rows 36 – 38: * fphdc in first, bphdc in next * repeat between * * around. Slip st to top of next st. Invisible join and weave in ends. 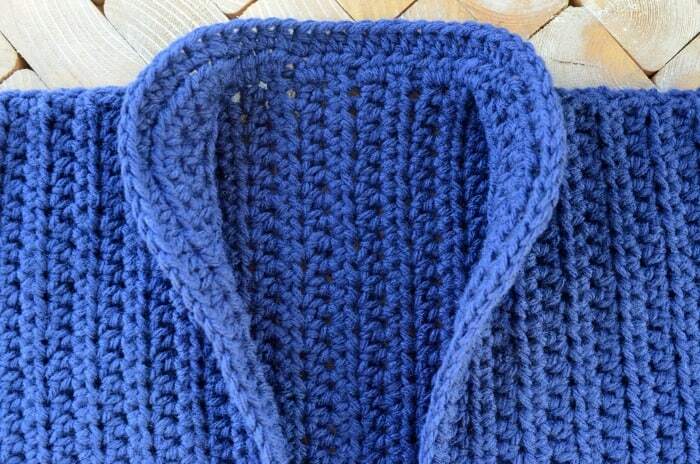 Sc in each row end around bottom of cardigan. Fasten off and weave in all ends. 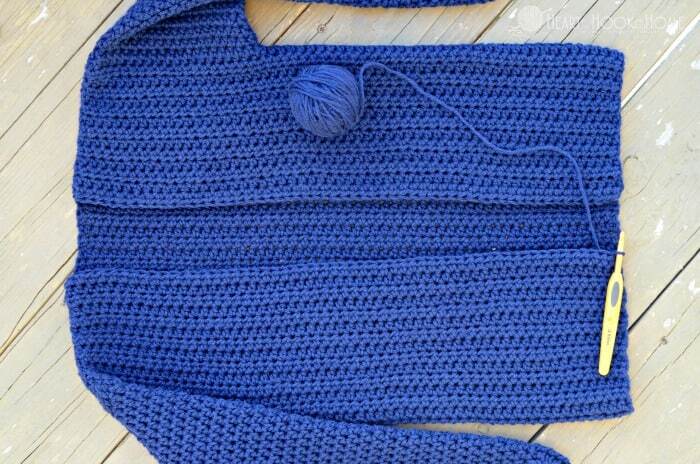 And now your 8/10 cardigan is almost complete! 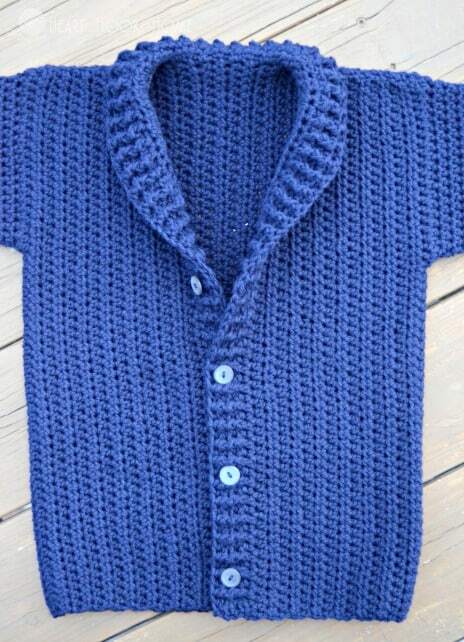 Add the elbow patches if desired, 3/4″ buttons, or a zipper. Done! I want to see your finished projects!! 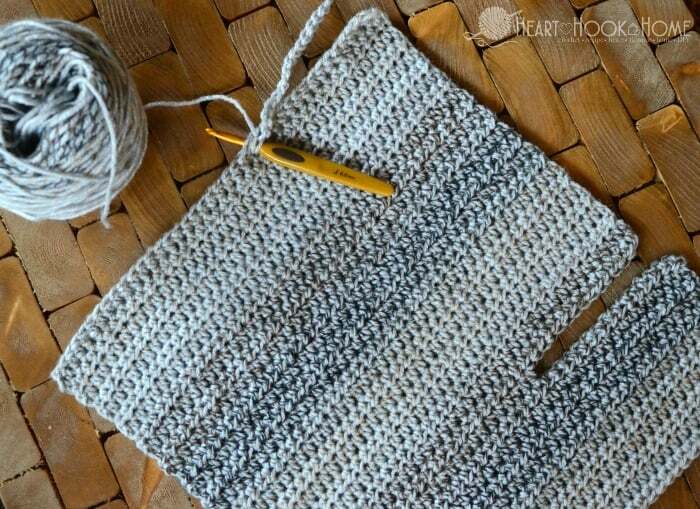 Share photos of your Cozy Classroom 8/10 Cardigan with me by tagging @HeartHookHome on Instagram and Twitter, and by sharing in the Heart Hook Home Crochet Community group on Facebook! Hi! 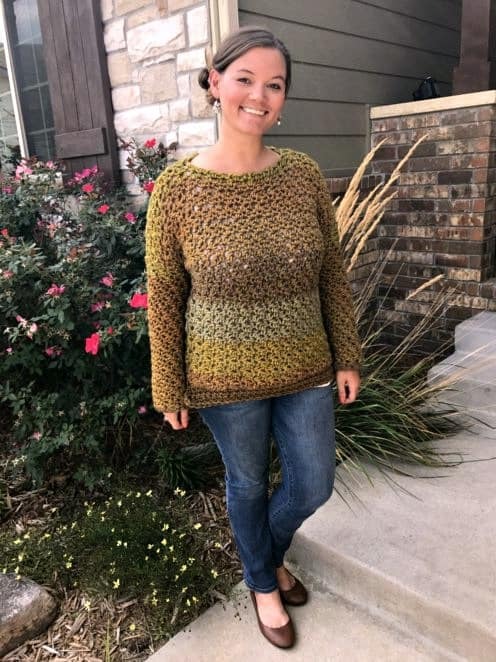 I realize this pattern is almost a year old, but is there a PDF version of this pattern available? Ashley Thank you ever so much for the beautiful patterns you share. They are beautiful and you are so very talented. 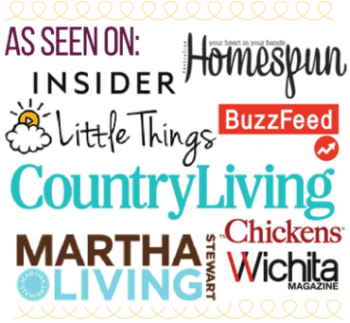 We that have found your site are blessed to have someone that caring and talented to share with us. Thank you. God bless. Awww...thank you Linda! You are too sweet! Hi Ashlea Thank you for the wonderful set of patterns? Could you please give me an idea of how long it took you to complete the 8/10 size? I understand its also a factor of how fast one crochets, but on average just to give me a guage please. Yes, you're just creating a slit for the armhole.